It's important to acknowledge the generosity and impact donors have on the many families we partner with each year. 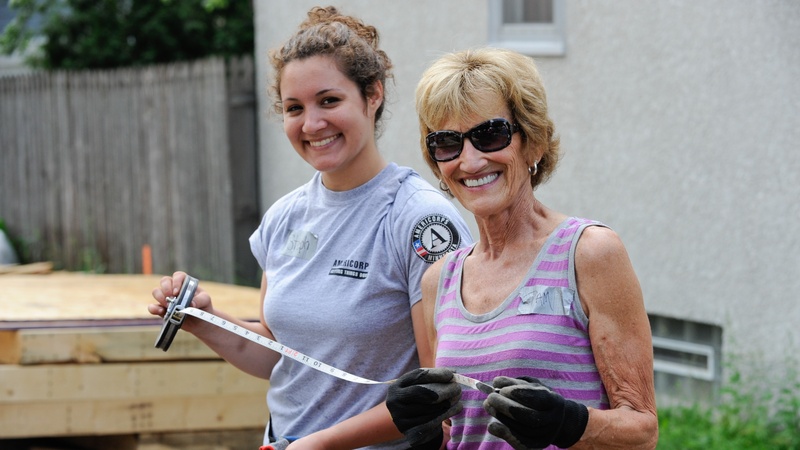 The Builder's Circle, Legacy Circle and Carpenter's Club programs recognize those who give. Builder’s Circle is Twin Cities Habitat’s leadership giving society for individuals who invest $1,000 or more during the year. Legacy Circle recognizes donors who’ve named Twin Cities Habitat as a beneficiary in their will or other estate gift plans. Donors who’ve made a monthly commitment to invest in our work are recognized with benefits as members of the Carpenter's Club. Monday-Friday 8:30 a.m. to 5:00 p.m.
Tuesday-Friday, 10:00 a.m. to 6:00 p.m.
Saturday 10:00 a.m. to 4:00 p.m.